ANG biogas storage is a game changer for the biogas industry. The need for ANG biogas storage is rising. Cenergy Solutions has been working with several organizations to help store bio-methane more efficiently. Since bio-methane plants produce gas at low pressures Adsorbent Natural Gas (“ANG”) is a perfect fit to store this gas. Our company plans to continue to test and implement bio-methane storage at facilities around the world. For additional information please read The Feasibility of Renewable Natural Gas as a Large -Scale, Low Carbon Substitute. 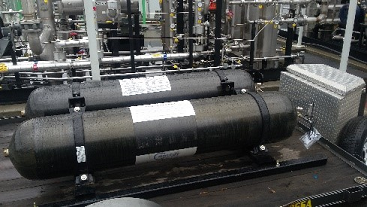 Cenergy Solutions has been working with Atlas ReFuel and Clean World at their bio-methane plant in Sacramento. The tests have shown that ANG biogas storage will be able to store over four times the amount of gas in an ANG tank than a conventional tank. 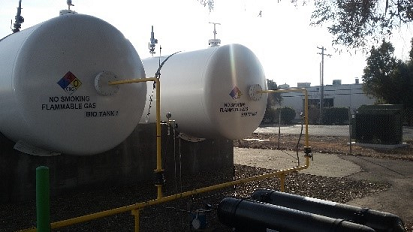 If these tests continue to produce good results, it is intended that Atlas ReFuel will be able to convert their existing tanks to ANG tanks and increase their biogas storage capacity to over four times what they can store now. 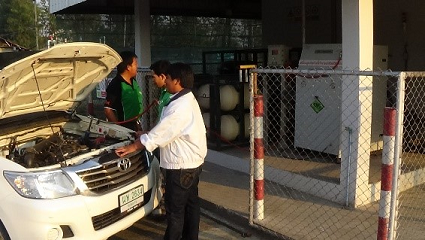 Cenergy Solutions are collaborating with ERDI to do ANG testing at their new bio-methane plant in Chang Mai, Thailand. 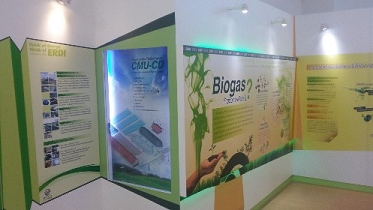 Once these tests prove to be beneficial to their storage capacity, they intend to implement ANG biogas storage technology in additional bio-methane plants. 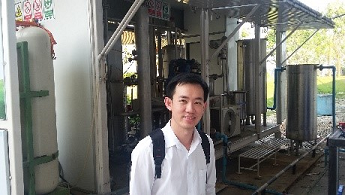 Dr. Sirichai Koonaphapdeelert has been working on ANG technology for the last three years in regards to replacing LPG tanks with ANG tanks. 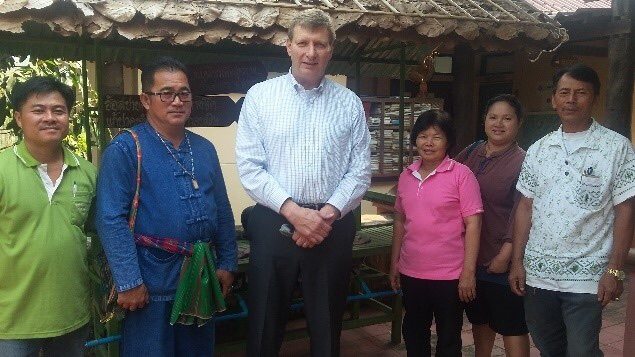 Cenergy Solutions is applying its technology to enhance ERDI’s facilities and further their research and application in Thailand and other countries that use propane for their cooking and heating. Cenergy Solutions is in discussions with Paradise Green Energy to use ANG biogas storage testing at their facility. This bio-methane plant makes their gas from the waste of 1 million chickens. They manufacture their biogas to fuel a generator that supplies the electricity for the farm and additional electricity for the grid. They also use the bio-methane to fuel their company vehicles and are looking for ways to supply the local community with biogas. 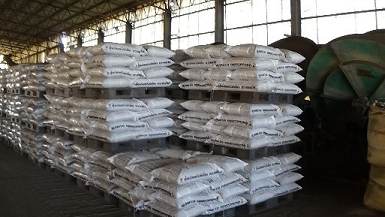 After the methane is taken out, the chicken waste is bagged to be sold as fertilizer. We can increase their storage capacity by over four times, which will help them prevent venting or flaring their excess biogas. This beautiful Thailand village with 180 homes has a pig farm with 4,000 pigs. Mr. Jinda (white shirt) in the picture below has been in the bio-methane plant construction business for 30 years. He has built four bio-methane systems for this village, which gives them the capacity to fuel all of the 180 homes with biogas but they do not have the storage capacity to store the gas during off peak times. At this time they can only supply 80 of the homes with biogas, but with Cenergy Solutions’ ANG technology they will be able to store enough gas to supply all of their homes with biogas and not vent the unused methane that has been manufactured by their systems.